Black soap or also known as African black soap (Dudu osun) is made from the ash of the harvested plants and barks such as shea tree bark. How is the black soap made? First and foremost, the leaves and the bark are left on the sun to dry out. Afterwards they are roasted in a pot or kettle in a certain constant temperature. Why is this important? Well, this is important to ensure the black soap consists of the color, texture and smell as we know it. The black soap has vitamins A, vitamin E and iron. In addition the black soap offers UV skin protection aside from the other skin care benefits. The black soap is ideal for people who have skin dryness, rashes, acne breakouts and dark spots among others. 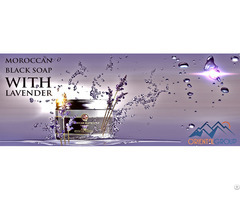 The soap itself is really versatile and flexible when it comes to the skin care usage. Some people even use as a shampoo or makeup remover. However, some people may want to test out the black soap due to the caffeine sensitivity due to the fact that the soap consists of cocoa pods which according to recent studies there is a proof that the caffeine can be passed on trough contact with the skin. Aside from the benefits we mentioned above, the black soap is also good for evening out dark spots, soothing out razor bumps, helping the skin to cover the acne scars, helps with eliminating skin bacteria, diminishes the wrinkles and helps with oily skin as well. In conclusion, the black soap is great remedy to use if you happen you have problems with facial acne and body acne, dark spots, wrinkles, dry or oily skin, razor bumps and bacteria. The black soap is a great weapon to have in your arsenal to battle against the skin care problems and infections. Packaging details :100g, 150g, 250g, 1kg, 5kg plastic jars. • Flavors : Eucalyptus - Lavender.